Lalla - the astonishing, little-known Kashmiri poet who sang and danced her verses with such passion that she was known to tear her garments off in a frenzy of ecstasy. 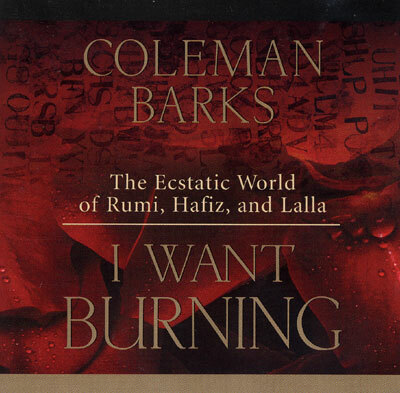 If you have never heard a live performance with Coleman Barks and friends, I Want Burning will be a revelation in the ecstatic spiritual poetry of Rumi and his contemporaries. Accompanied by vocals, pan flute, harmonium, bells, and hand drums.